Intel Corp. (NASDAQ: INTC; SEHK: 4335; Euronext: INCO) is a technology company, and the world’s largest semiconductor chip maker, based on revenue. It is the inventor of the x86 series of microprocessors, the processors found in most personal computers. 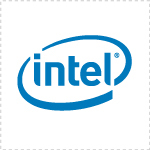 Intel was founded on July 18, 1968, as Integrated Electronics Corporation and is based in Santa Clara, California, USA. Today, Intel is best known for producing microprocessors found in many personal computers. The company also makes a range of other hardware including network cards, motherboards, and advanced graphics chips found in gaming gear. Intel, the inventor of the low-power “Atom” processor, recently also anounced plans to focus more on chips for mobile phones and Smartphones. Additional information about Intel is available at www.intel.com or blogs.intel.com.